Warranty:1 Year Manufacture. Warranty Service : Replacement. Package contains:1 Water level controller unit, 3 Sensors, 1 User Manual with all technical details, 1 Pack mounting screw, 1 warranty card. Working : As shown in the above diagram out of three sensors, 1 sensor put at the bottom, 1 sensor put at middle, and 1 sensor at top level of the tank. When the water level in the tank becomes low, means water get down from middle sensor, motor get switch on automatically. The tank starts filling up. When the water level reaches to the higher level, the top level sensor sense. the motor automatically gets switched off. No Man power is required. Supply voltage : 220-270 V AC, Suitable up to 2HP Motor. 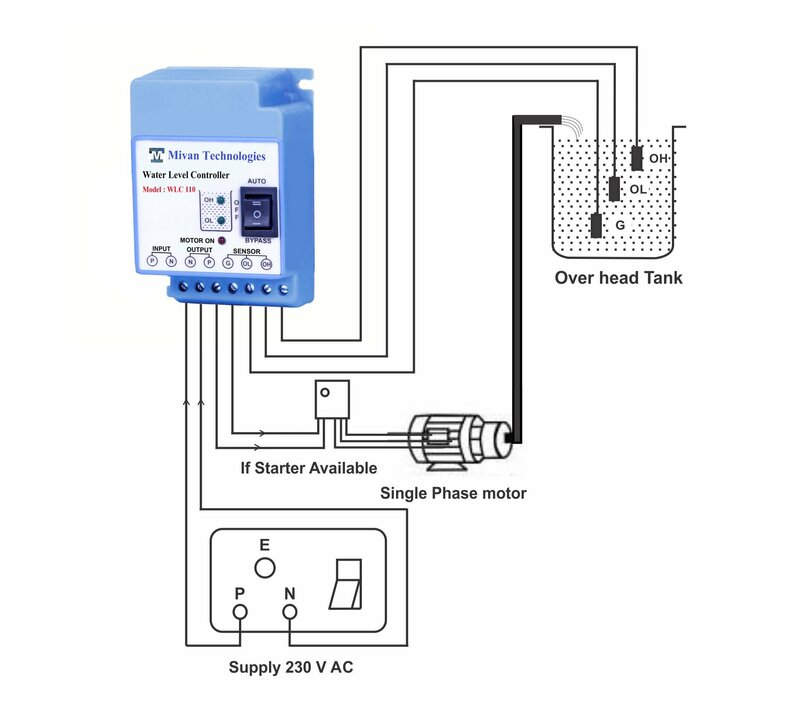 Also suitable for single phase MCB starter panel & submersible motor. Item Specifications: Warranty:1 Year Manufacture. Warranty Service : Replacement. Package contains:1 Water level controller unit, 3 Sensors, 1 User Manual with all technical details, 1 Pack mounting screw, 1 warranty card. Working : As shown in the above diagram out of three sensors, 1 sensor put at the bottom, 1 sensor put at middle, and 1 sensor at top level of the tank. When the water level in the tank becomes low, means water get down from middle sensor, motor get switch on automatically. The tank starts filling up. 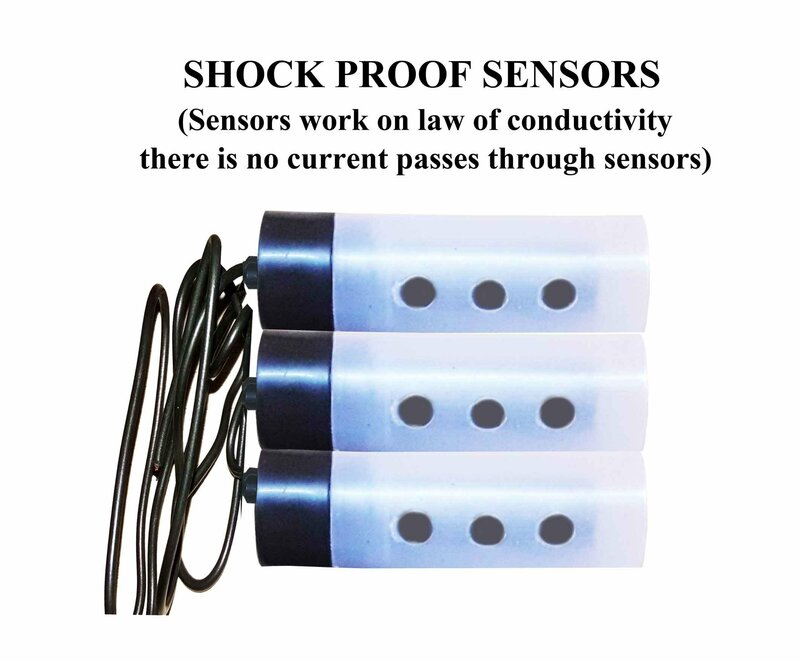 When the water level reaches to the higher level, the top level sensor sense. the motor automatically gets switched off.No Man power is required. Auto and manual switch available. Power on LED Indication Provided. Motor start stop LED Indications. Product Descriptions : Sensing Elements: Carbon sensors, so that it is free from oxidation. long life. Supply voltage : 220-270 V AC, Suitable up to 2HP Motor. 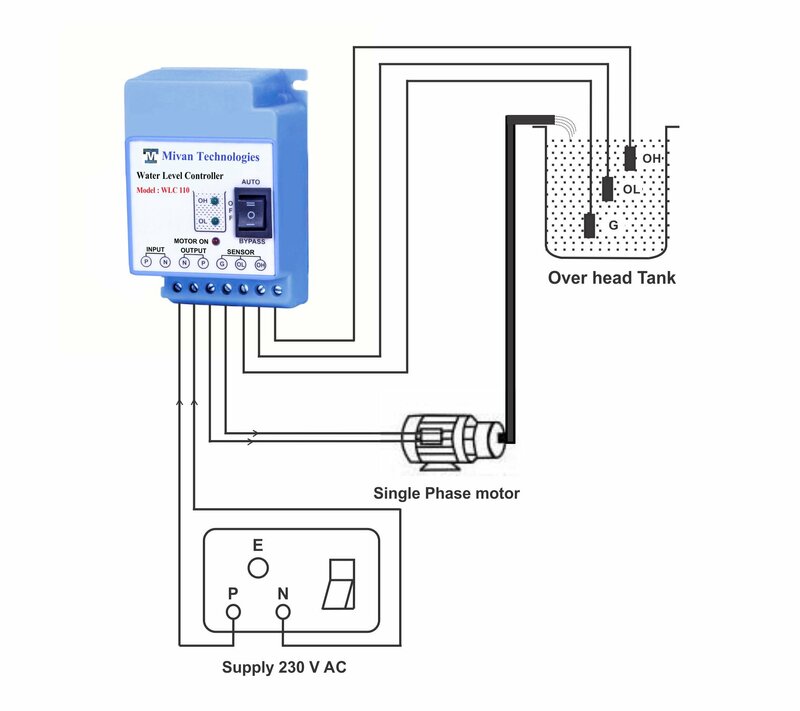 Also suitable for single phase MCB starter panel, submersible motor. See diagram above in picture for connections. You can connect with and without starter panel. We have tested our product and all our product passes through all necessary test before sell. Applications : Applicable to under ground tank, over head tank, pressure pump, tube well and deep boring. 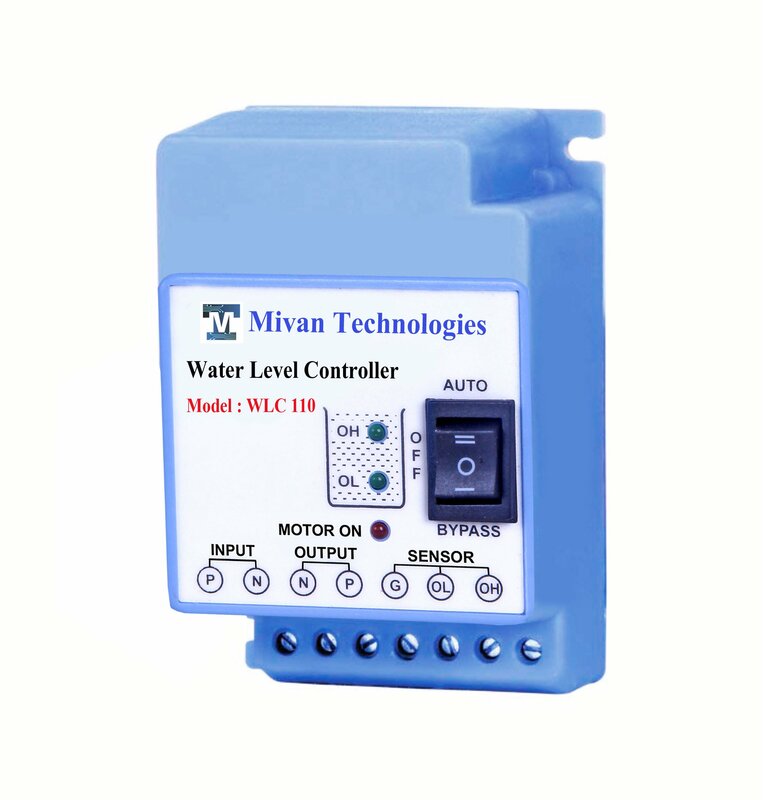 Automatic water level controller is of much used in homes, hospital, industries. Use of this product saves water, saves electricity and save times. Helps in preventing overflow of water from the overhead tank. long service Life Contact Details If you need further details or if you have any query fell free to contact us. Company : Mivan Technologies. Auto and manual switch available. Sensing Elements: Carbon sensors, so that it is free from oxidation. Long life.Every care is taken for packing so that the item reaches to the buyer safely and undamaged. Manufacture in Ahmedabad. Made In India Product.